It’s been called a donkey in striped pants and the world’s most enigmatic and secretive ungulate. On his trip down the Congo River in 1888, the explorer Henry Morton Stanley was told by Pygmies in the Semliki Forest that they "knew of a donkey and called it atti". In the West, the "atti" achieved something of a unicorn status, half believed but never seen. To get to the bottom of the mystery, the British high commissioner in Uganda, Sir Harry Johnston, mounted an expedition in 1901 – but he managed to track down only a partial skin from a hunter. Johnston correctly identified the find as a type of giraffe and, after much debate at the Zoological Society of London, the unseen creature was named Okapia johnstoni. The animal is undeniably cute – it looks rather like a small, long-necked horse with a brown body and white face. 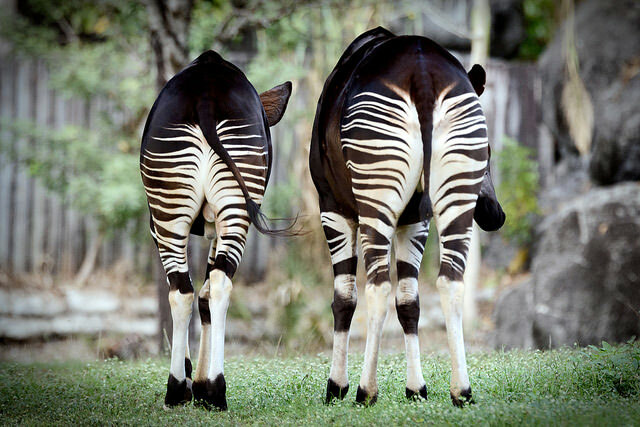 Its rump is striped like a zebra and the lower limbs have neat brown-and-white-banded "socks". Males sport small, ineffective horns and both sexes have large, independently mobile ears. This all adds up to highly effective rainforest camouflage. Current population estimates vary widely from 10,000 to 50,000, but nobody really knows. What's clear is that these mini giraffes are under extreme threat from bushmeat hunters, slash-and-burn agriculture, charcoal collectors and roads being hacked into the tropical rainforest by logging companies. Mining of diamonds, gold and many other mineral resources is also taking place in the okapi heartlands, most of it unregulated, with the revenue often used to fund ongoing warfare. The okapi conservation crisis highlights the more general problem of protecting wildlife in African habitats plagued by poverty and conflict. While infrastructure in the Congo was developed during the Belgian colonial period (at great cost to human life), it crumbled during the decades-long rule of President Mobutu Sese Seko. In 1994, hundreds of thousands of refugees, displaced by the Rwandan genocide, took shelter in Virunga National Park, one of the okapi’s former safe havens. This was followed by two consecutive civil wars, and the collapse of the central government in the capital city of Kinshasa. Relentless conflict has meant widespread exploitation of the natural resources in the country’s parks. Maiko National Park, for example, has been occupied by rebels since 1964, rendering wildlife conservation impossible. Within the past decade, around 350 rangers have died for the cause of conserving the okapi and other wildlife in the region. The Okapi Wildlife Reserve, an area of around 14,000 square kilometres near the borders of Sudan and Uganda, was created within the Congo’s Ituri Forest in 1992. Five years later, it was declared a World Heritage Site. But in the remote, conflict-wracked eastern Congo, protection is more of a good idea than a possibility. In June 2012, the reserve was brutally attacked by a heavily armed gang of illegal miners and elephant poachers who killed seven people and all 14 of the captive okapi housed at the headquarters, which was burned down. 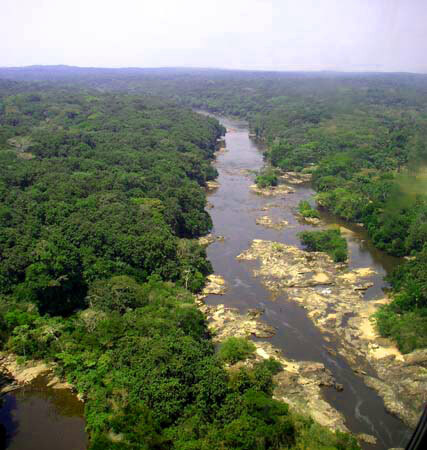 The Congolese Institute for Nature Conservation (ICCN) lost control of the area. The Okapi Wildlife Reserve, found within the Congo’s Ituri Forest (pictured), is home to about one-sixth of the remaining okapi population. Thousands of illegal miners then entered the reserve and hunting increased dramatically. A degree of order returned only after Congolese armed forces killed the leader of the mining gang in 2014, cleared out over 10,000 miners and re-established control of around half of the reserve. The ICCN rebuilt its headquarters the following year. With extinction of the okapi a very real possibility – it’s currently listed as endangered – the International Union for the Conservation of Nature (IUCN) stepped in and, with a number of partners, including the ICCN and the Zoological Society of London, launched an extensive study of the situation. Their report, released earlier this month, outlines a ten-year conservation strategy. It calls for urgent government and international commitment to support the integrity of key Congolese protected areas from armed militia and illegal mining activities. 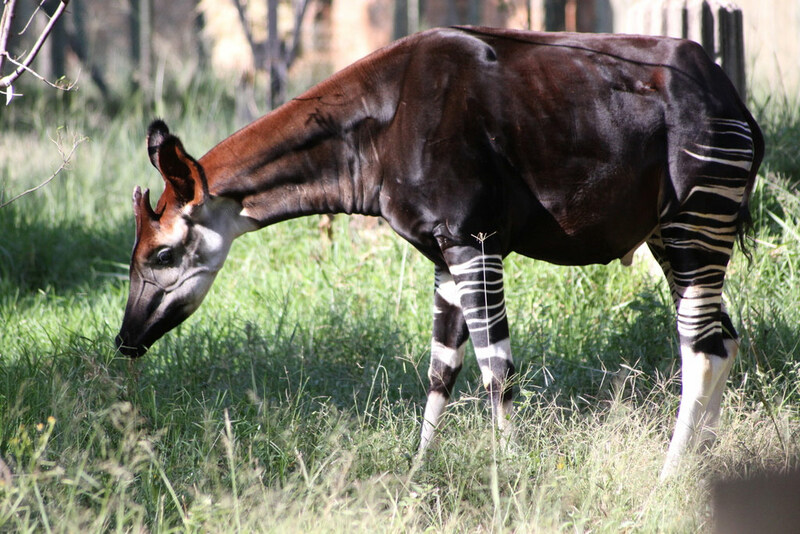 Central to the plan is the intensive safeguarding of the Okapi Wildlife Reserve. “There are still enormous gaps in our knowledge of these creatures, in large part because security concerns ... have prevented survey teams getting on the ground. This global strategy provides a clear roadmap for joint action to bring them back from the brink of extinction, tackling these wider threats so we can focus on specific actions to better manage and monitor okapi," says the strategy’s lead author, Dr Noëlle Kümpel. But whether these moves are sufficient to save the okapi – the DRC’s national animal – over the next decade remains to be seen.